Our programs provide surgeons and primary care doctors the specialized training needed to treat athletes and others with sports injuries of all types. Ohio State’s multifaceted fellowships provide opportunities to work with athletes and learn from an experienced and knowledgeable faculty. Our facilities are among the best in the nation, and the comprehensive curriculum prepares you for a wide variety of cases. Dr. Trevor Kitchin shares how his experience as an Ohio State Sports Medicine fellow led him to continue his career here. 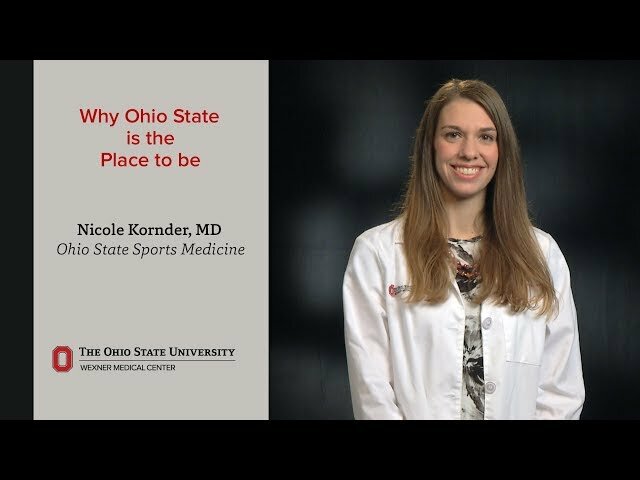 Dr. Nicole Kornder explains why she decided to come to Ohio State for sub-specialty training and continuation of her career.